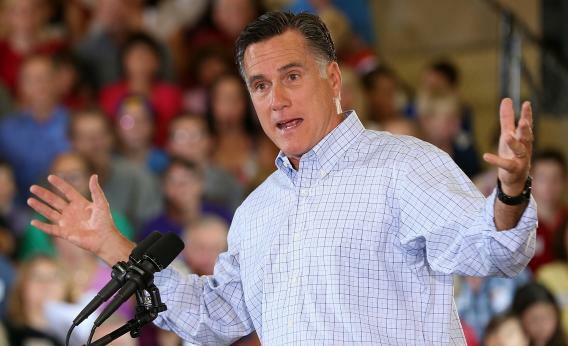 Mitt Romney campaigns in Golden, Colo., on Thursday. Mitt Romney has an ad airing in Ohio in which a remarkably sympathetic car dealer complains that the Obama bailout of the auto industry led to the closure of his dealership. The emotional takeaway: Romney would never be so cold-hearted as to require job losses as part of a rescue plan. Where to start with the utter hypocrisy! Which brings me to my third point: I wish the Obama administration had added another element to its discussion of Bain. Simply put, the White House could claim: “We do it better!” Their auto-sector investment is a paradigm of success. Rather than let an industry fail or simply move the jobs overseas, as Bain seems to have done, the administration negotiated with all parties to restructure, share the sacrifice, and rebuild. The public’s return on investment will be real—and we saved an entire sector. Don’t attack the notion of private-equity investment that retools an industry; claim the mantle that we know how to do it better. The argument puts us on the right side of economic growth, has the virtue of truth, and denies Romney what he has pretended is his calling card: the ability and know-how to rebuild the economy.